Detail of Pan from a painting depicting the Judgement of Paris. 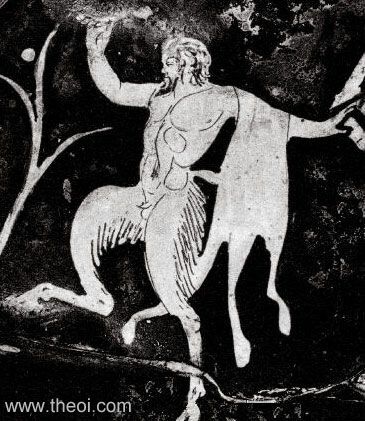 The god has the horns, ears, beard and shaggy legs of a goat, and has an animal skin cape draped across his arm. He is portrayed as a rustic companion of the shepherd-prince Paris on Mount Ida in the Troad.